Major League Soccer (MLS) can no longer be considered a niche football league. With its following around the world it represents a huge opportunity for companies involved in football sponsoring and a possible target for new investors. 2006 World Cup champion Andrea Pirlo, 2007 Ballon d’Or winner Ricardo Kakà, 2010 World Cup champion David Villa, Champion’s League winners Frank Lampard and Didier Drogba, England legend Steven Gerrard, and former Juventus FC striker Sebastian Giovinco. 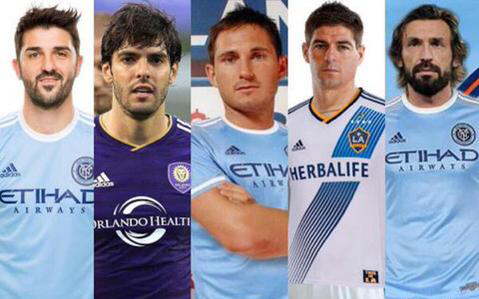 Not a bad line up for the Major League Soccer. MLS Commissioner Don Garber and his aides know how to boost a sport and, while the NBA and NFL are becoming more and more popular in Europe, at home things about football are getting serious. The mentioned star players from European leagues are contributing to a rapid increase in the overall quality of the MLS and the higher level of the sport is leading to an unprecedented interest around the game. Players such as the Brazilian Ricardo Kakà and the Italian Sebastian Giovinco, currently called by their national teams, are something more than landmark signings for marketing purposes – they are stars still at their prime and hungry for success. Multinational corporations, such as Adidas, Etihad Airways, Heineken and Johnson & Johnson, are allowing the MLS to add successful expansion franchises, increase player salaries and deepen the talent pool with the option for teams to add multiple top players. Adidas is the official athletic sponsor and licensed product supplier for the league. The current eight-year agreement is reportedly worth more than $200 million through 2018 – when the league will be in its 22nd season. Ethiad is the official airline partner of the league and even if deal details are not public, their involvement is estimated to amount to around $10 million per year. Heineken recently replaced Budweiser as Official Beer Sponsor for Major League Soccer with a five-year deal that is valued at more than $50 million. As for the media rights, the 3 MLS broadcast partners (ESPN, Fox Sports and Univision) guarantee a combined $90 million per season. Looking at the sponsors of the league it is not surprising that playing in the MLS doesn’t only pay off in terms of the experience but also financially. MLS clubs is not afraid to spend big money on the top players of the league. Table 1. Top-earning players of MLS 2015 season. Top players, big money, vast stadiums – everything seems to be set for a great show. But what about the undisclosed element? The most important one that can make the difference between a successful sport and an average, ordinary and sometimes boring one? In a nutshell, how are fans reacting to this renewed hype about football? There is only one answer: REALLY WELL! As they say, records are made to be beaten, so the MLS is not competing just with itself. You can play football everywhere, but Europe used to be its undisputed favorite reign. Or not? The table above shows that the average attendance of the MLS is rapidly closing the gap with the Italian Serie A and even overtaking the French Ligue 1. Germany, England and Spain seem currently out of reach, but a takeover of Italy could happen sooner than expected. 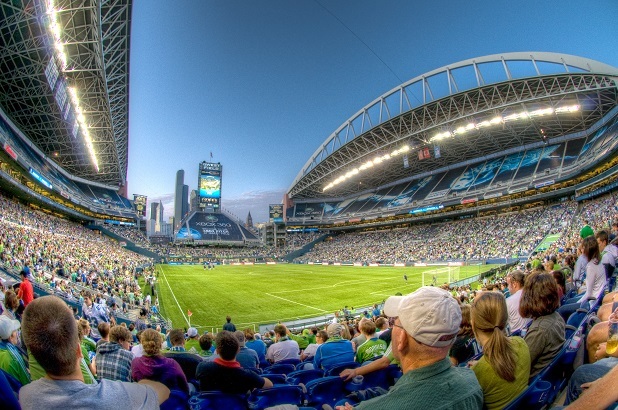 Moreover the Seattle Sounders average attendance ranks above any Serie A team. They have better attendance than Valencia CF (44,239), Bayer Leverkusen (29,311), Olympique Lyonnais (34,959) and even FC Chelsea (41,482)! All these clubs are recurring participants of UEFA competitions, won domestic league titles and are incurring more than $100 million in seasonal revenues. There are no magic tricks, only focused investments and farsighted planning that led to a record-breaking 2015 season. Among all, there are two key elements accountable for this growth. First, the so called “honeymoon effect” of expansion teams (teams that were added to the league and expanded thereby its number of participants; examples are Orlando FC and NYC FC in 2015). Due to their novelty (=honeymoon effect), Orlando and NYC finished the 2015 season 2nd and 3rd in average attendance, without qualifying for the 2015 postseason. Their fan’s enthusiasm could boost marketing interest around these 2 cities. Second, soccer clubs invested heavily in their facilities that can cope with an attendance increase for many seasons to come. San Jose’s Stadium is the last example of top-notch structures that can attract and entertain a growing number of people. Today the Major League Soccer is no longer an elephant graveyard. Not at all. New top players will arrive and new expansion teams (Atlanta FC in 2017 and Los Angeles in 2018) will enter the league. The MLS became a league of opportunities, where players can be reborn, fans can fall in love with a (re)discovered sport and marketers can invest their money. Overall, it’s the right formula for sustainable development. Should the Bundesliga fear the Premier League’s money?